The Senate held a debate on Tuesday and voted to investigate the allegations, saying the money was not allocated to NNPC in the 2018 budget. The Nigerian Senate and the Nigerian National Petroleum Corporation, NNPC are about to square off once again. The NNPC has been accused of illegally withdrawing $1.05 billion from Nigeria Liquefied Natural Gas, NLNG Limited, and the senate on Tuesday voted to investigate the claim. NLNG is a joined venture between NNPC and some international oil companies including Royal Dutch Shell, Total and ENI. Analysts say the senate probe could undermine plans by the partners in NLNG to decide by the end of December on a major expansion. The Premium Times report said NNPC was not authorised to withdraw the $1.05 billion from NLNG that was meant to be shared between federal, state and local governments. 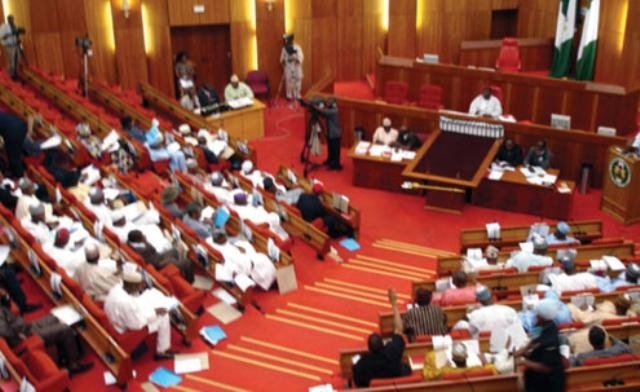 The Senate held a debate on Tuesday and voted to investigate the allegations, saying the money was not allocated to NNPC in the 2018 budget and so any spending by the state company of the cash was unauthorised. Senator Bassey Akpan, who brought the motion to investigate, said he was “bringing the attention of the senate to various emails and complaints from the general public on the unauthorised withdrawal of $1.05 billion by NNPC from the NLNG account”. Recall the fuel scarcity at the end of last year and early this year which left people queuing for hours at filling stations? It saw NNPC becoming a sole importer of petrol, spending at least $5.8 billion on fuel imports.